Home › Training › Boston 365! You can join us for this exclusive VIP experience from anywhere! 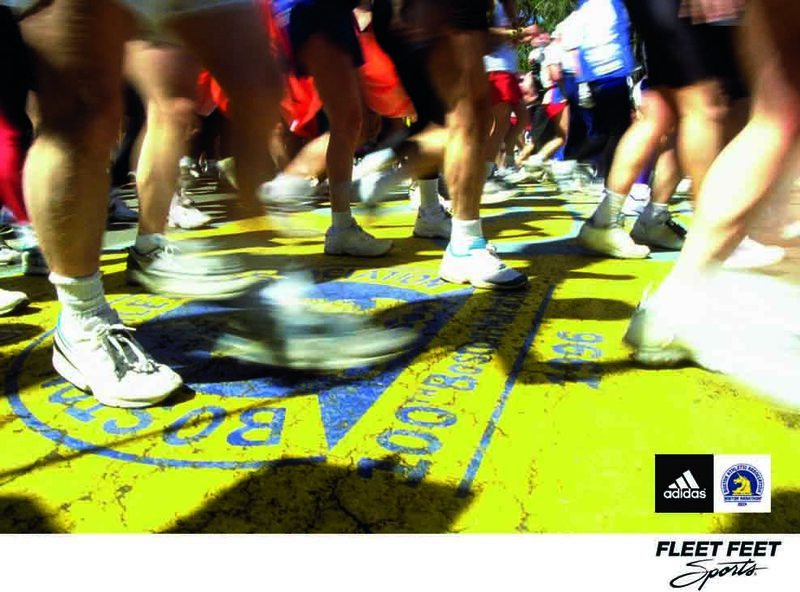 Are you signed up and ready to run the 2016 Boston Marathon? Run it in style with Fleet Feet and Adidas! Race Day, VIP bus ride to the start in style in a private tour bus where you'll get to keep your belongings and hang out while you wait at the start line. After the race, you will find a fully loaded recovery area with massage, bar, food and the bag you left on the bus. Friends and Family are welcome to join you here! Where: Bonney Lake, Tacoma and online! If you live outside of the south sound area, you can still train with us online! The training plan will be available to registered participants via email and coaches will give weekly feedback! Requirements: You must have qualified and been accepted to run the 2016 Boston Marathon to participate. Unlike previous years, an additional 59 seconds will NOT be accepted for each age group time standard. Please email Sabrina for more information!